Autopromotec says it will offer an “interesting” new development celebrating the connection between the aftermarket sector and motor racing. For the 2019 show to be held in Bologna from 22 to 26 May, Autopromotec will inaugurate “Autopromotec Motorsport”, an initiative sponsored by ACI Sport and the Motorsport section of ANFIA (National Association of the Automotive Industry Supply Chain). At Autopromotec 2019, the Autopromotec Motorsport initiative will create a dedicated pathway through the trade show’s pavilions where it will be possible to see and touch products that contain the same technology used in racing vehicles. 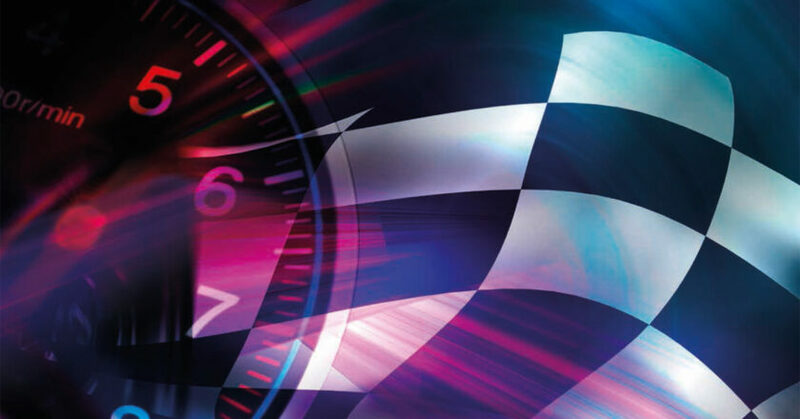 All exhibitors with a direct link to the racing world will be identifiable by a special symbol – a chequered flag with the Autopromotec Motorsport logo in the centre. The visit is also supported by a guide made available to visitors during the days of the trade show, listing all the companies in the sector participating at the fair. To spotlight the companies involved in the initiative, Autopromotec Motorsport will also have its own booth dedicated entirely to racing in Hall 31 Bis, near the “Quadriportico” of the exhibition centre. Organisers says it will be possible to experience the ‘aura’ of competitions, walking through pit lanes set up to recreate the paddocks of motor racing and learning about the services offered by the main trade associations as well as schools, universities and other educational institutions. 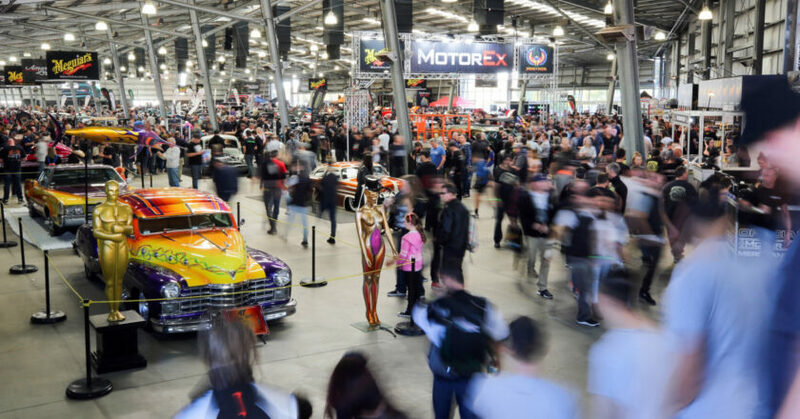 Meguiar’s MotorEx, to be held at the Melbourne Showgrounds on 11-12 May, says it will showcase the best the automotive aftermarket industry has to offer, along with some of the country’s “finest” show cars and performance machinery. The event is also expected to feature drifting demonstrations, dyno sessions, automotive celebrities, gourmet food vendors and live music, as well as a new initiative, the VCM MotorEx Seminar Series, where a group of industry experts will present a variety of topics in 12 sessions. In addition, Flying Spanners – an initiative of Summernats/MotorEx – will pit teams of apprentice mechanics from TAFE and other training providers against each other and the clock as they strip and rebuild an engine. “The skill and passion of automotive technicians and the aftermarket industry underpins events like MotorEx and Summernats. Our events are unique platforms to contribute to foster the future of the industry,” said Andy Lopez, MotorEx and Summernats co-owner. To further attract and inspire the next generation of automotive technicians, MotorEx says it will offer automotive trade apprentices half price entry to the event using the promotional code ‘APPRENTICE’. 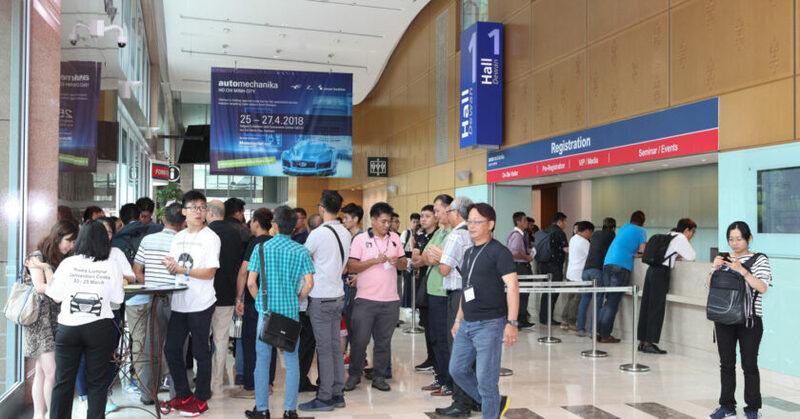 The 11th edition of Automechanika Kuala Lumpur will be held from 21 to 23 March 2019 at the Kuala Lumpur Convention Centre (KLCC). Attendees will be able to explore the latest products, services and technologies from over 300 exhibitors across 9710 square metres of space. The show will amplify the rising trends in connectivity, digitalisation and electrification through a host of new supporters, themed zones and fringe programme events. Located at the centre of the ASEAN region, organisers say Malaysia is recognised as an ideal country for digital investment. Reports from The World Bank Group suggest that the digital economy will contribute 20 per cent towards the country’s GDP by 2020. Digitalisation will, therefore, continue to penetrate every aspect of day-to-day life, which includes the automotive industry. Organisers say the trend has already started to revolutionise the automotive market, shaping dynamic growth and development opportunities for many local companies. To showcase the latest digital automotive trends, Automechanika Kuala Lumpur will introduce a new Internet of Things (IoT) zone to delve deeper into the potential benefits of IoT technology and its application throughout the global industry. Organisers says the influence of IoT has created fresh demand across the entire value chain, with research suggesting that one connected car can generate higher revenue over its entire lifecycle than 10 non-connected cars. Malaysia is making significant progress towards completing autonomous vehicle research and development by 2025, showing that the local industry will remain strong with the prospective demand for automated cars. Therefore, upstream and downstream sectors of the industry are now facing both new opportunities, as well as some challenges to maintain competitiveness and meet the changing needs of the market. As such, the IoT zone will feature both hardware and software developers emphasising the combined power of digitalisation, connectivity and advanced software capabilities in the automotive industry. Another zone making its debut at the fair is the highly-anticipated Truck zone. The area will spotlight a number of trends that have sparked a rapid growth phase for the commercial vehicle sector across the region. With Malaysia becoming the third largest commercial vehicle market in Asia Pacific, the future of the sector remains positive. The country’s commercial vehicle sector is expected to see growth at a compound annual growth rate (CAGR) of three per cent, which translates to more than 84,000-unit sales by 2025. As a result, more and more international players are now entering the market to offer their products and technology. At Automechanika Kuala Lumpur, the show’s fringe programme will highlight the region’s most pressing topics as well as emphasise the themes running through the fairground. For example, the Fleet Management Conference will explore the synergy between IoT and the commercial vehicle sector, while another fringe programme event taking place at the show is the Collision Repair Training Workshop, returning after a successful presence at the last show. It is run and presented by I-CAR Australia CEO, Mark Czvitkovits. For more information abocut Automechanika Kuala Lumpur, visit www.automechanika-kl.com. 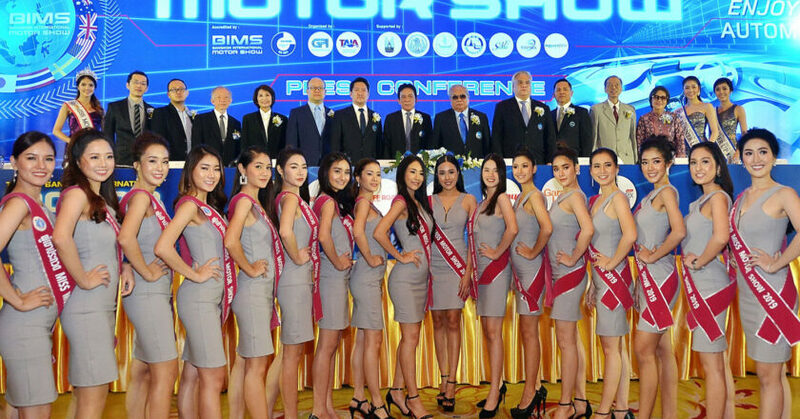 The 40th Bangkok International Motor Show 2019 (40th BIMS) will open its doors for car enthusiasts under the theme of “Enjoyment Of Automobiles” from 27 March to 7 April 2019 at IMPACT Challenger, Muang Thong Thani, Thailand. Dr. Prachin Eamlumnow, CEO of Grand Prix PCL (the show organiser) and Chairman of the 40th Bangkok International Motor Show, says that the BIMS has been internationally recognised as the “Greatest Motor Show of ASEAN”, thanks to the annual participation of various global leading automotive brands. Last year, the total number of visitors throughout the 12-day event was more than 1.6 million visitors. This year’s show will feature 33 international automotive brands including Toyota, Lexus, Nissan, Honda, Mitsubishi Motors, Isuzu, Mazda, Subaru, Suzuki, Kia, Hyundai, Audi, Aston Martin, BMW, Bentley, Chevrolet, Ford, Jaguar, Land Rover, Lamborghini, Mercedes-Benz, MINI, Maserati, Porsche, Rolls-Royce, and Volvo. FOMM and MIND are newcomers from the EV segment, while this year also marks the inaugural participation of McLaren in Thailand. Fourteen motorcycle companies will also be there including Honda, Yamaha, Suzuki, Kawasaki, Harley-Davidson and Triumph. This year the BIMS will “travel through time up to its 40th anniversary”, celebrating with special setups that will take visitors back four decades to the time when the show was first held at Lumpini Park in 1979. The exhibition will feature the history of the BIMS along with its development, growth and how the show takes part in the automotive industry. More than 10 new models are expected to be launched this year, including EVs, hybrids and plug-in hybrids, supporting the Thai government’s policy of developing Thailand as the leader of electric vehicles in the near future. In response to the growing demand in the SUV market, a specially designed SUV test-drive ground will also be added to this year’s event. For more information, visit www.bangkok-motorshow.com. The leading international trade fair for the automotive aftermarket is creating new structures for the 2020 event, both thematically and physically, on the exhibition site. Organisers say the portfolio will now be more clearly organised, particularly in the fields of workshop equipment and future mobility. Automechanika Frankfurt will feature a strongly differentiated portfolio when it takes place from 8 to 12 September 2020. The event is taking advantage of the reconstruction of Hall 5 to “create important synergies” on the exhibition grounds and bring related themes together in the same locations. In future, products and solutions in the ‘Accessories & Customizing’ area will be grouped together in Hall 12, ensuring that this theme can be found in the direct vicinity of the workshop exhibition in Halls 8 and 9, which will now be called ‘Diagnostics & Repair’. For the first time, the product groups based in Hall 11 will receive their own designation from the next Automechanika – ‘Body & Paint’. They will be supplemented by a comprehensive supporting programme in the adjacent Portalhaus. The Festhalle will continue to serve as the stage for “tomorrow’s mobility” and will now focus in particular on ‘Mobility as a Service & Autonomous Driving’ and ‘Alternative Drive Systems & Fuels’. Organisers say the classic cars business was extremely popular at Automechanika 2018 and will be expanded further. Synergies were also achieved for workshop and tyre retailers at the last event, so Automechanika 2020 will be expanding to include the new ‘Tires & Wheels’ product group. This theme will remain in Hall 12, where it will be found alongside ‘Car Wash & Care’. Every two years Automechanika revamps its brand presentation, which features on the cover of the current trade fair catalogue, as well as in the event’s advertisements, posters and websites. 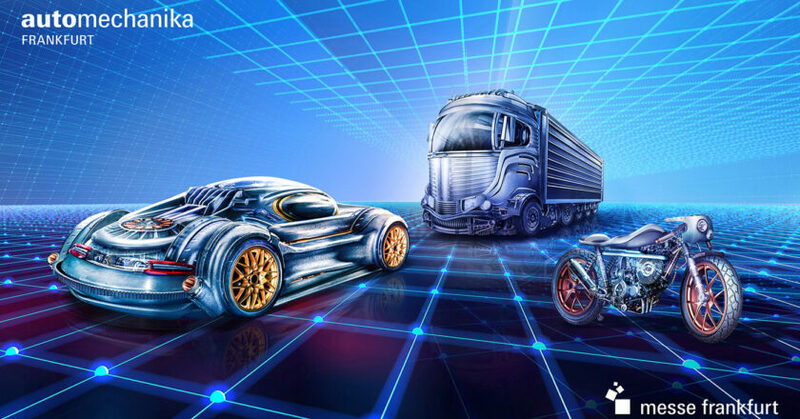 The new theme now features three types of vehicles for the first time: cars, trucks and motorcycles. The vehicles have been composed from car parts and accessories that were made available for photographs by Automechanika exhibitors. The theme comprises hundreds of car parts that have been photographed and combined digitally. 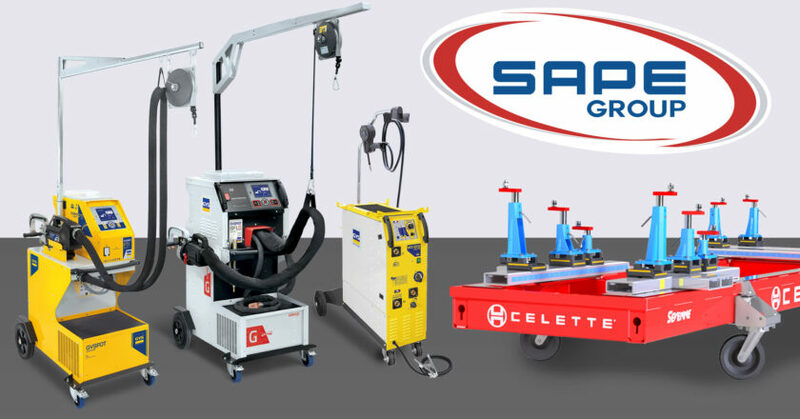 The SAPE Group (Sydney Automotive Paints & Equipment) says it is proud to, once again, be the official major sponsor of The Collision Repair Expo (CRE), held concurrently with the 2019 Australian Auto Aftermarket (AAA) Expo from 4-6 April at the Melbourne Convention and Exhibition Centre. Building on the success of the Collision Repair Expo in recent years, the SAPE Group says it has committed to expanding its presence at the show, doubling its footprint with four stands spanning 216 square metres – one of the biggest displays at the event. Stand AD2 and AE2, located near the show entrance, will span 180 square metres and display the latest collision repair technology, products and equipment from international brands such as Celette, GYS, Jollift, Autorobot, Innovative Tools, Prowotech, Kamatec and IRT/Drester. A contingent of international guests will be on hand to discuss the latest products on the market. Confirmed guests include Pierre Nicolau and Ratan Youti Samal (Celette France), Cédric Ouguergouz (GYS France), Jarkko Venäläinen (Autorobot Finland) and Andrea Callini (Jollift Italy). The first of the smaller stands, AF14, will span 18 square metres and showcase SAPE’s consumables range including Juice Polishes, POR-15 and Scangrip. The company will launch new products, including the much-anticipated Juice Endurance and N-Cut, plus new detailing and work lights from Scangrip. The second of the smaller stands, AE52, also spans 18 square metres and will feature Roar Advanced Finishing’s automotive range of compounds, glazes and buff pads. 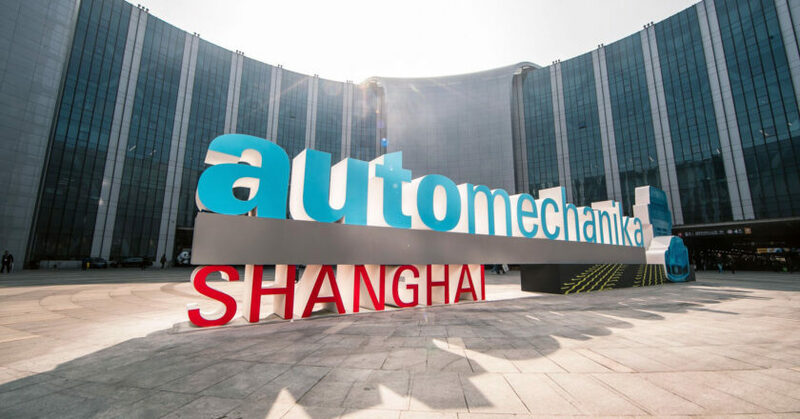 The Automotive Maintenance and Repair Expo (AMR) will take place from 21 to 24 March 2019 in Beijing’s New China International Exhibition Centre. As one of Asia’s leading repair and maintenance trade shows, the fair has expanded many of its special zones for 2019, and for the first time will host the new German Pavilion. Organisers say the show’s latest addition will allow visiting buyers to explore a more comprehensive exhibiting platform and enable them to connect with some of the most influential names in the global market. This year’s fair will feature more than 1300 exhibitors across 120,000 square metres of space, covering the most recent advances in garage and collision equipment, testing, diagnostics equipment and tools, repair, car care, parts and more. In recent years, the automotive industry across China and throughout Asia has seen continued growth driven by increasing vehicle ownership. The trend is expected to continue rising in the coming years, which has encouraged key players across the value chain to tap into the country’s automotive market. With this, the repair and maintenance sector in particular is seeing more demand for new and innovative product ranges and services. Show organisers say this demand can be seen first-hand at AMR, where they forecast that over 8000 brands from across the world will exhibit. A number of regional and overseas participants have already confirmed their place at the show, including 3M, Atlas, Autel, Axalta, Baozhongbao, Beiersdorf, Bright, Celette, Corghi, DeVilbiss, Festool, Fly-eagle, Guangli, GYS, Hunter, Launch, Mirka, Monarch, Saint Gobain, SATA, Snap-on and Yokistar, from countries such as Greece, Italy, Korea, Malaysia, the United States and more. In a new development for 2019’s show, the German Pavilion will be making its debut at the fair. The area has already been highly anticipated by many buyers from the Chinese market, as it provides a one-off opportunity to approach some of the most influential European companies in the sector. This year at AMR, organisers say visitors will benefit from more strategic hall planning to provide enhanced coverage and easier navigation across different areas of the repair and maintenance sector. Halls have been categorised into specific zones to support matchmaking for both buyers and exhibitors; these zones include Spare Parts, Car Care, Lubricant Oil and traditional Repair and Maintenance, each of which will feature special sectors to better highlight the industry’s most intricate areas. For example, the aftermarket and new energy vehicles sectors will have their own dedicated area to cover each of these specific trends, while spare parts and lubricants will span across 20,000 square metres of space alone. Away from the zone’s exhibitors, a total of over 30 fringe events will also run concurrently with the show. Here, industry experts will hold seminars, forums and other activities to reflect the latest global developments, current themes and regional trends across the industry. Organisers say some of the significant trends under the spotlight within the fringe programme include lubricant oils and the automotive aftermarket supply chain, the development of the repair industry under environmental policy changes, and how the automotive aftermarket is influenced by the development of new energy vehicles. Other interrelated topics will focus on the challenges and opportunities for traditional automotive parts dealers, workshop profit patterns and marketing strategies for tyre shops. Participants can also attend the 2019 Automotive Aftermarket Brand Festival, which is being hosted at AMR. For all overseas visitors who pre-register online, organisers say they will sponsor VIP services including accommodation, transport, AMR lounge access and assist with visa applications. For further information about AMR visit www.amr-china.cn. 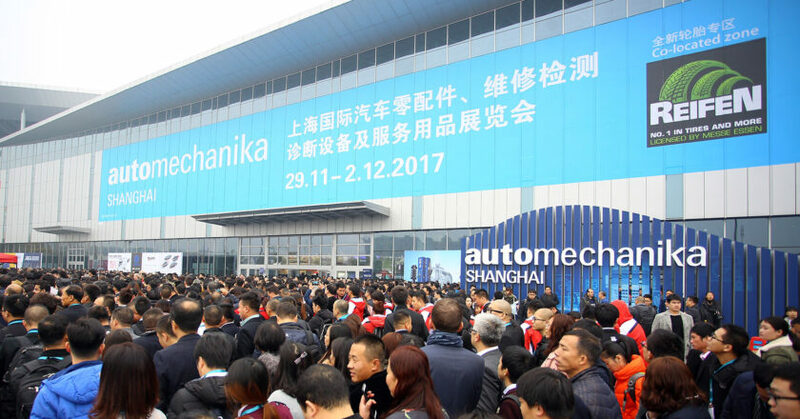 The 14th Automechanika Shanghai, which took place from 28 November to 1 December 2018, has recorded a substantial rise in attendees compared to the previous show. The news comes after the fair expanded many of its themed zones and areas – the brand-new Tomorrow’s Service & Mobility area was able to shed light on the most interesting current and future developments of the industry, from digitalisation and alternative drivetrains to autonomous driving and new mobility services. Other areas that organisers said proved immensely popular amongst participants were the collection of dedicated zones scattered across the halls, including the debuting Chain Stores Zone and the Remanufacturing Zone, as well as the returning REIFEN (tyres) sector for the latest tyre, wheel and rim products. This year, a total of 57 fringe programme events ran concurrently with the main show. Throughout the fairground, organisers said each event continued to receive high praise from industry experts who took part and presented their ideas and visions for the future of the industry. Many fringe events also debuted for the first time this year, such as the Tomorrow’s Service & Mobility Summit 2018 and the Automotive Aftermarket Summit 2018, both of which reflected the themes and trends across the showground. Organisers have also marked an increase in international participation across the board. With 43 exhibiting countries and regions around the fairground, newcomers from Luxembourg joined the list of returning countries, along with the likes of the Czech Republic, Lebanon and Slovenia along with the other established overseas participants. Overseas visitors also saw an increase of 22 per cent. Participants were particularly keen to express that this not only helped create new channels of communication for international buyers trading with Chinese firms, but also allowed for more business exchanges across other international exhibitors and buyers. 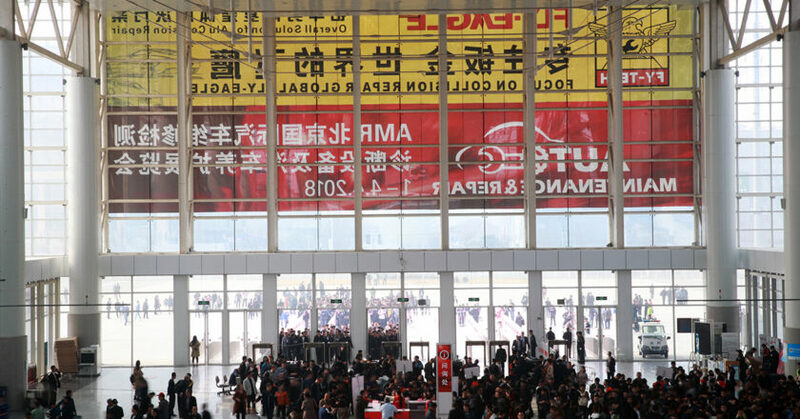 While more than 140,000 automotive buyers are preparing to descend upon the National Exhibition and Convention Center (NECC) in a few weeks for Automechanika Shanghai, organisers say they are working behind the scenes to ensure the high expectations of the show’s fringe programme are met. This year’s show will see some 50 fringe events take place, covering a strong collection of topics and pressing issues related to the entire automotive world. Altogether, over 250 senior level representatives are taking part as speakers in this year’s fringe programme at Automechanika Shanghai, held from 28 November to 1 December 2018. The events are expected to inspire participants with new ideas, provide the latest industry trends, expand their business networks and shed light on the industry’s future developments. The aftermarket in China continues to grow at a rapid rate, and the sector is the country’s biggest market for automotive developments. This continued growth has been met with a number of new opportunities and challenges, so organisers say the show will shine a spotlight on this topic through the Automotive Aftermarket Summit 2018 on 29 November. The event will gather leading companies from the automotive aftermarket sector, including the China Automobile Dealers Association, Fix Auto China and Carzone amongst many others. The summit will explore growth hotspots and potential across both domestic and international markets, whilst also forecasting future developments and collaboration opportunities for the sector. The summit will also cover the differences and impacts of e-commerce between the US and Chinese multinational automotive parts manufacturers in the aftermarket industry, the development of service chain stores, the outlook of independent workshops, financing, insurance and more. Meanwhile, the AIAG Auto Parts Purchasing Leadership and Suppliers Summit on 28 November, organised by the Automotive Industry Action Group, has invited purchasing executives from GM, Ford, Fiat-Chrysler, PACCAR, Volvo, Geely, NIO, Bosch, BorgWarner, Cummins, Valeo and other OEMs and Tier-1 suppliers to share their sourcing strategies and requirements, as well as their quality management systems in Asia and China. The platform will serve as an opportunity to learn and exchange thoughts on sourcing and quality with hundreds of purchasing leaders across the supply chain. Meanwhile, the global automotive industry is undergoing an unprecedented transformation at all fronts, from autonomous driving and digital disruptions, to the rise of sharing economy and social trends. To address this, organisers say several related conferences will shed light on the future of service and mobility, including the Tomorrow’s Service & Mobility Summit 2018 on 28 November. The summit will invite renowned domestic experts and scholars to discuss current and future developments in the areas of car connectivity, new energy vehicles and autonomous driving. Specific reference will be given to the differences between China and Germany in terms of safety standards and the implementation challenges of autonomous driving, as well as blueprint sharing for the future of service and mobility. Elsewhere, the advancement of automotive materials has been playing an increasingly important role in the automotive manufacturing and design process, and particularly for automotive light-weighting. Held on 28 November, the Application of Advanced Composite Materials in New Energy Vehicles Summit 2018 will talk the audience through the application of advanced composite materials across the entire production cycle of new energy vehicles, from design, product development and manufacturing, to moulding and cost efficiency. This will provide solutions for many of the difficult problems the industry faces. In addition, a dedicated display zone, titled ‘Advanced Composite Materials & Automotive Lightweight Innovation Application’, will showcase the contribution of advanced composite materials at the fair. In recent years, the buzz around environmental protection has swept across the automotive aftermarket in China, and traditional service sectors are now facing an increasing amount of pressure to cope with higher environmental requirements. The Green Automotive Painting Summit 2018 on 29 November will discuss current industry developments in terms of environmental protection policies, environmental products and solutions to upgrading business in terms of materials, painting technologies and operations. Representatives from leading companies in this field, such as Festool, Fix Auto, Jingzhongjing, MAXLINK and Yatu Advanced Materials will take part in the event. For further information about Automechanika Shanghai 2018 and the show’s concurrent fringe programme, visit www.automechanika-shanghai.com. 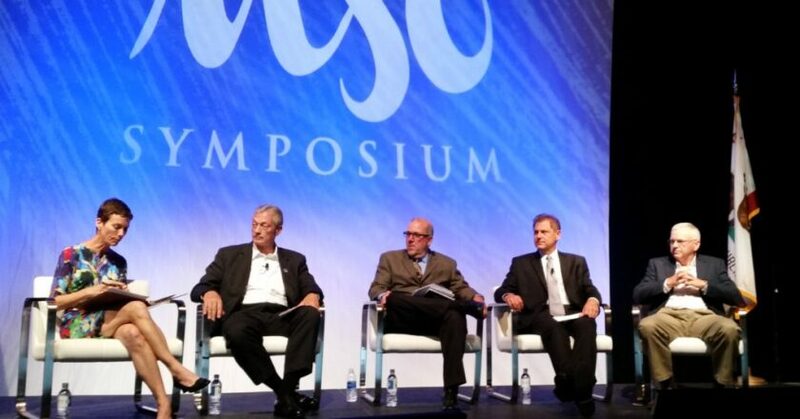 The Automotive Service Association has revealed the dates and location for the 8th Annual MSO Symposium and Technology Telematics Forum (TTF). Next year’s events will coincide with the Collision Industry Conference (CIC) in Indianapolis, Indiana on 24-25 July 2019. The two events were originally scheduled to take place during NACE Automechanika in 2019. Due to pending changes surrounding the trade show, ASA’s Board of Directors said it had elected to move the event this year to coincide with CIC. The association said it will work closely with Messe Frankfurt regarding the future direction of NACE Automechanika, with announcements to be made in the near future regarding 2019, 2020 and beyond. Bob Wills, AAM, ASA’s Chairman-elect, said ASA understands that there are many questions surrounding the future of the NACE Automechanika trade show. “We are working very closely with our partners at Messe Frankfurt to make decisions as quickly as possible,” Wills said. “We will make those details available as soon as possible.